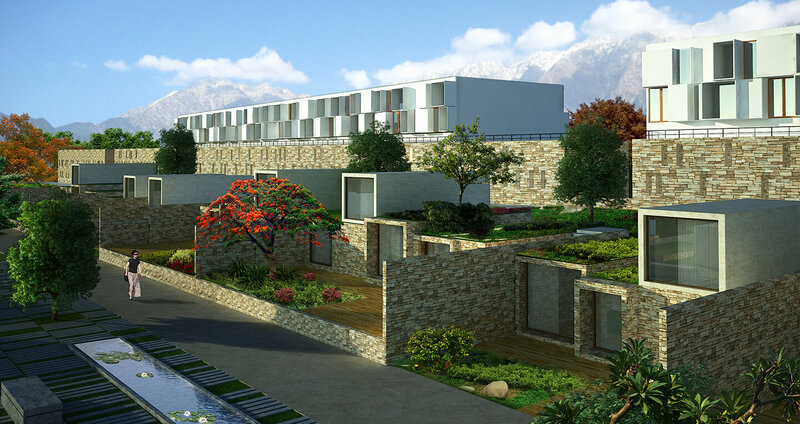 Located in the foothills of the Himalayas in close proximity to a reserved forest area, the design is for a resort development consisting of a mid market hotel, villas, a golf course, a spa and an institute development. With two main buildable zones on the site, it was planned in a manner that the hotel and the spa rest on the north end of the site adjoining a landscape spine with elevated views. The area covers an approximate of 11,000 sq m and is composed of two volumes comprising of services as one part and the business centre/rooms as another. In between both these volumes, the space has been manipulated to create a reception hall and carve the entry into the site. The façades for both these components have been processed independently in a manner that blends the services and business centre into the landscape. Rooms are highlighted with an iconic image. 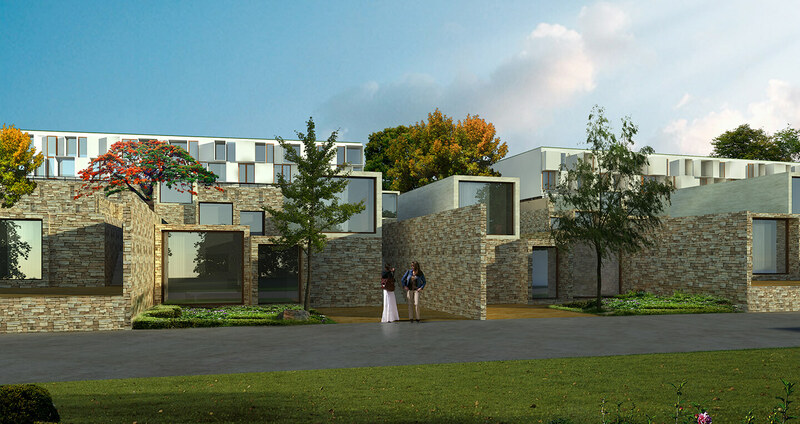 The concept for the cottages has been conceived by combining the entrance volume that rests over the landscaped terrace volume, staggered to provide the element of privacy. The institute is designed as an alternating bay of built mass and green landscape connected through open corridors placed on the northwest corner of the site, away from the hospitality functions.